We had a great time walking at the National Kidney Foundation’s first annual Seattle Kidney Walk March 26, 2017 at Safeco Field, home of the Seattle Mariners! Participants walked four laps around the concourse inside Safeco Field, heard from kidney researchers and leaders from the National Kidney Foundation and other nonprofits, and received information about kidney disease and ways to prevent it. 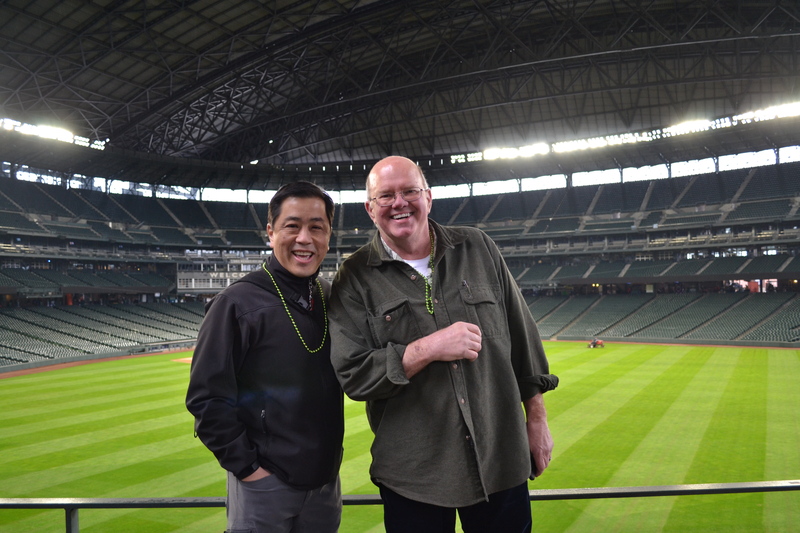 Puget Sound Kidney Centers’ team members David and Bob above center field at the Seattle Kidney Walk March 26, 2017 at Safeco Field. 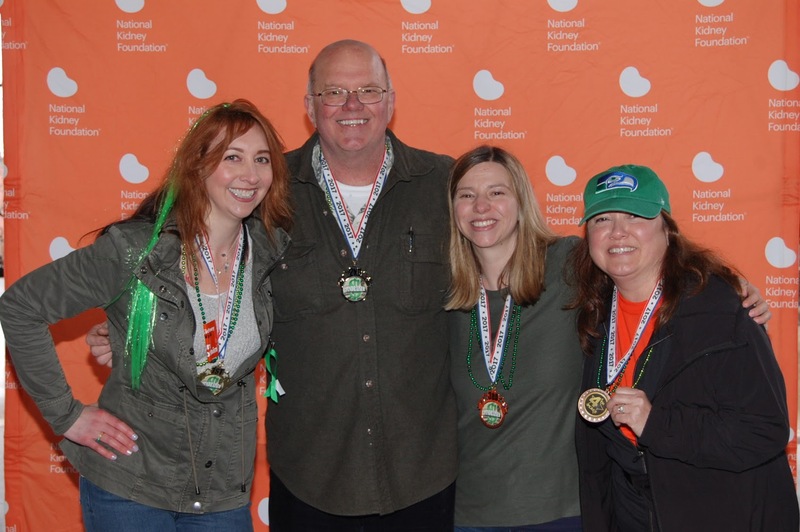 Puget Sound Kidney Centers also sponsored the walk that raised, in total, more than $90,000 for the National Kidney Foundation. These funds help the nonprofit work to raise awareness of kidney disease around the country and support programs for kidney patients and those at risk. Puget Sound Kidney Centers’ walk team members included (L to R): Michelle, a social worker at PSKC, Bob, from The Road Back to Life, Sara, a dietitian at PSKC, and Jane, executive director of the Puget Sound Kidney Centers Foundation. Our CEO, Harold Kelly, and 20 staff members, family and friends walked as the Puget Sound Kidney Centers team. 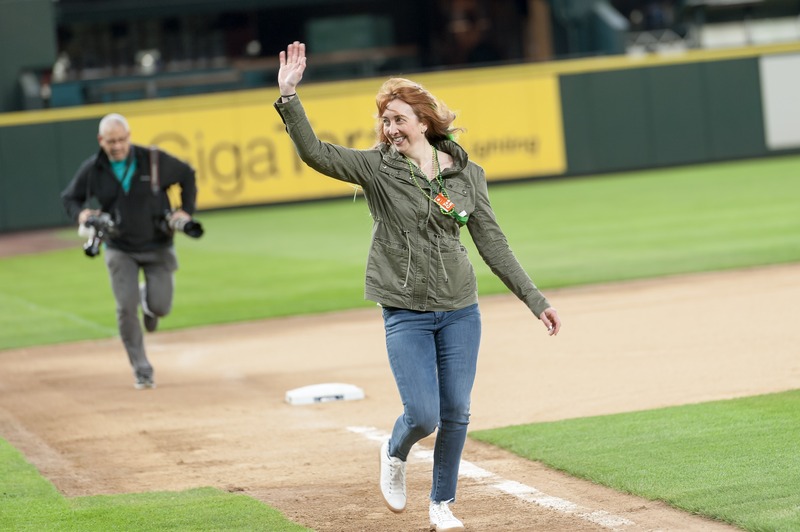 A huge thank you to all who took part in the walk and a special congratulations to Michelle who, as our team top fundraiser, got to run the bases at Safeco! Puget Sound Kidney Centers’ top fundraiser Michelle runs the bases at Safeco! • Get moving! Exercise regularly. Find out more ways to prevent kidney disease or, if you do have kidney disease, check out our free classes to learn how to slow it down. And make sure to follow us on Facebook and Twitter to get more tips for living well!